Jackson Karama was in the first class of B2R Scholars that graduated in May. 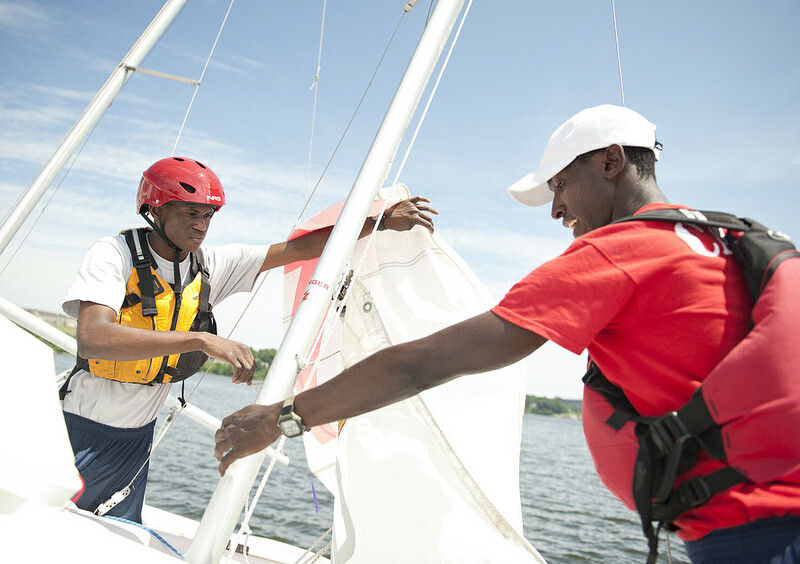 He earned a scholarship to the U.S. Coast Guard Academy, where he learned more than just physics and sailing. 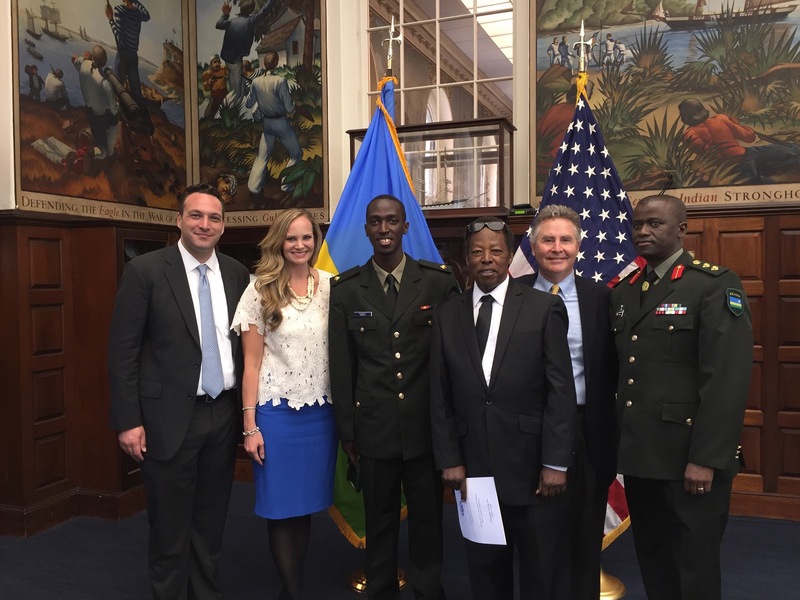 Today, he lives in Kigali, the capital city of Rwanda, and serves as a 2nd Lieutenant in the Rwanda Air Force. Here, he talks about his biggest inspirations and shares a funny story from when he arrived at the U.S. Coast Guard Academy. What was your childhood like in Rwanda? I was born in Uganda in the refugee camp in 1990. My family came back from Rwanda and lived in the Eastern Province, in Nyagatare, in 1994. From 1994 to 1999, most of the schools were churches, so we went to a church school. We spent most of the time at my grandmother’s house hunting, herding cows, and sharing meals together. During school time, we’d stay with my uncle and auntie, whom I call my parents because they brought me up with six other siblings. That was the life until 2000, when we moved to Uganda and continued primary school, where we learned new languages. I later came back to Rwanda for secondary school in Kigali. After graduating in 2010, I worked as a teacher at the school I graduated from, and in 2011, I started at Bridge2Rwanda. I came to the U.S. in 2012. How did Bridge2Rwanda prepare you to come to the U.S.? I learned a lot, a lot of English. I tried doing the ACT and TOFEL before but my scores improved greatly when I came to Bridge2Rwanda. The leaders like Dale and Anna are very encouraging. They have inspiring stories about what they’ve done in life, but it was also humbling to hear how they came to Rwanda to take Rwandan kids and train them, to help them become better. That was mind-blowing to us! Our teachers did so much to prepare us and kept pushing us even when we thought we were going to fail. I learned that if we can work this hard, as they do, we can succeed as well. I also learned that community service is an important tool for helping me discover what I want to do in life. Bridge2Rwanda helped us go to orphanages where kids would look up to us as inspiration, and that made me want to work hard so I can show them they can do it too, so they have this hope that they can do great things. That’s when I discovered I had to be in a place of leadership or service for the country to make an impact, and that’s why I joined the military. By default, in the military, you’re given rank, so there are people below you who look to you for guidance. It’s good that I have experience with leadership. I’m still learning more so I can get more leadership responsibilities with the Air Force. What was the U.S. Coast Guard Academy like? I went thinking I’d get a good education and come back but I was shocked by how much more the Coast Guard taught me. I got a mechanical engineering degree, but the most impact it had on me was changing my way of thinking, making me a leader, and impacting my work ethic. 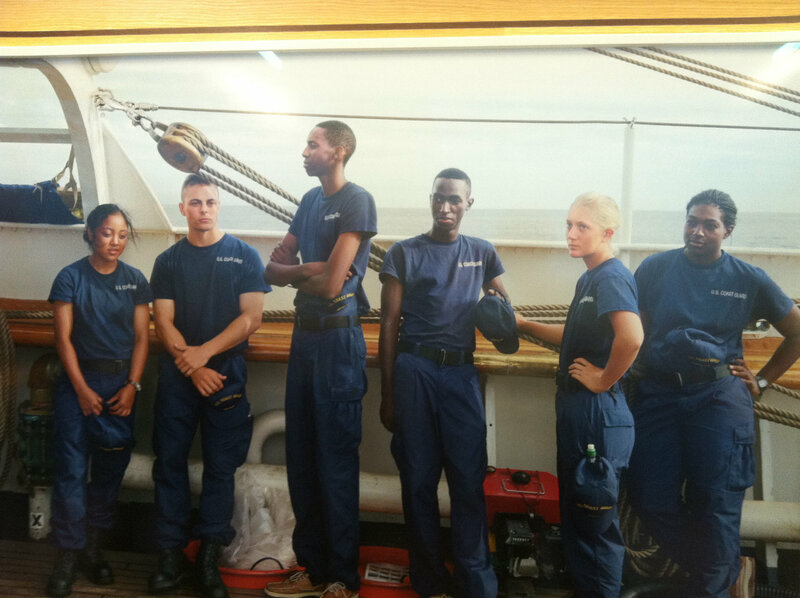 People here in Rwanda want to get jobs, work for money and for some, want to get rich, but I feel like, after the U.S. Coast Guard Academy, if I had a job or didn’t have a job, I’ll still make a living. I’ve been equipped with so much, education and lifewise. I was challenged so much. Like swimming in oceans and lakes in cold places. I thought I would die if i did that! I’ve done things that made me think that I can do more than I thought I would and it’s made me excited about life because I realize I can make a change in the things I don’t like. The U.S. Coast Guard Academy definitely added more to me as a person. Education was just part of it. It’s more about the possibilities of working hard and thinking I can do anything. When I first arrived at the U.S. Coast Guard Academy, I was punished for smiling a lot. I had to keep a serious face, so I had to be on a Smile Train for a whole week. A Smile Train is smiling for a whole week without stopping. You can stop when you’re sleeping, but if anyone’s watching you, you have to be smiling all the time. That was the punishment. After that, I didn’t smile anymore! Was the U.S. different than you expected? America was a lot better than I thought it was going to be. When I was younger, I thought America was paradise. Doing Bridge2Rwanda, they helped us watch movies on Friday Movie Nights and friends from the U.S. would tell us about it. 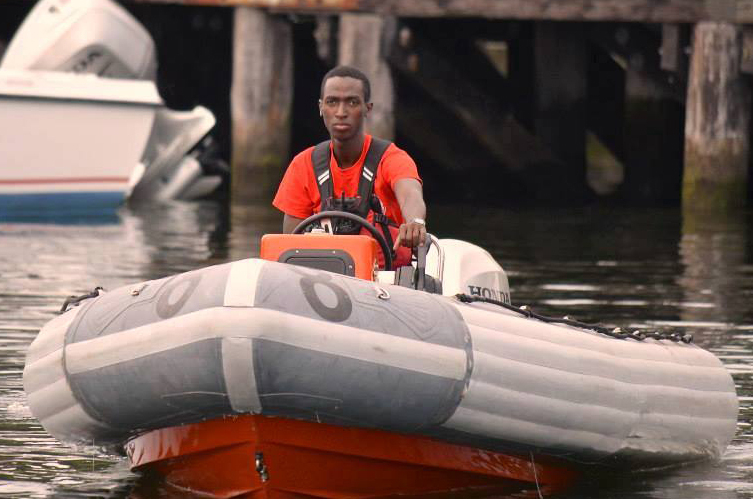 College life was different at the U.S. Coast Guard Academy than at other places. So many people encouraged me so much. 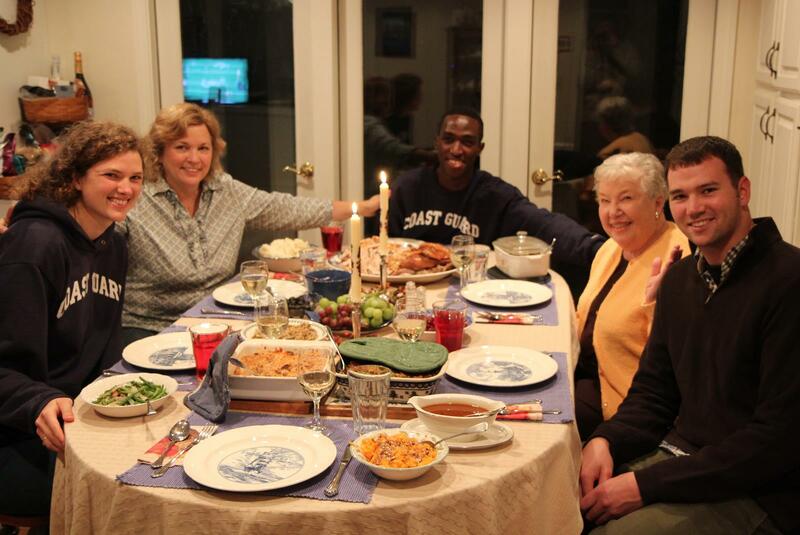 My host family took care of me like their own son. My teachers were amazing and encouraged me. My friends took me to their houses where I became like their brother. It was like a family. When I got there, I didn’t know I’d ever connect. I thought I was going to be a little lost. But it felt like home at the end of the four years. I wanted to come back to Rwanda because I knew I’d be more useful here, but the U.S. was still amazing. The Bridge2Rwanda vision is to Build a bridge between here and Rwanda and transform lives at both ends. How has that applied to your life? Bridge2Rwanda enables a young generation of Rwandans to get a college education. They don’t pay for us to go, but they equip us with something more expensive than money: the ability to earn scholarships, which is amazing and which no one has been able to do in Rwanda. Some are trying to fill that gap but they can’t. Bridge2Rwanda has filled that gap. Me and my friends who just got back are working in big positions, and not at small institutions. I’m doing things I can do because I’ve been to the U.S. and have been trained. I can do things that are useful because I’ve been taught. The bridge between people in the U.S. and Rwanda is incredible, so evident and so valuable to us. If I didn’t go to school in the U.S., I don’t think I’d have this much education or this position. I couldn’t afford to go to university in Rwanda, so I’d be herding my mom’s cows or something, trying to be a man. There’s definitely a huge difference between what it could have been and now. Thank you so much, Jackson!